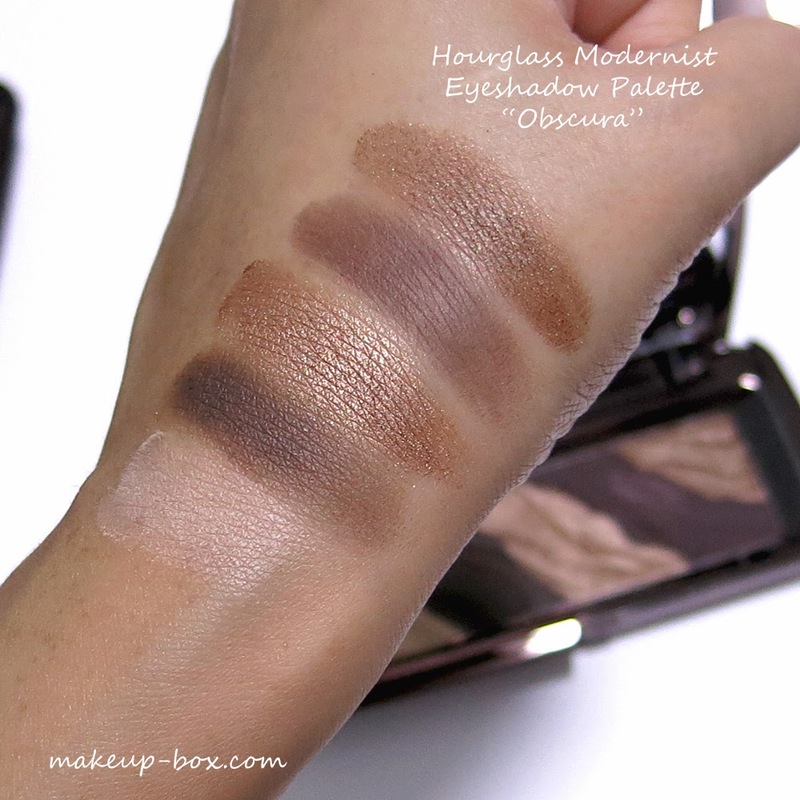 These shadows come in a range of gorgeous neutral tones, and the formula is INCREDIBLY pigmented. Almost to the point where they are a bit tricky to use without making a mess. They don't feel like traditional pressed pigments, and they aren't baked. You barely need to touch them to get lots of pigmentation. But the problem is also that they can go on patchy or give you tons of fall-out simply because so much of it comes up once touched. If you are using brushes to apply these, be careful to use a very light touch or you will use up the palette in no time. And these don't come cheap at USD$58 (around SGD$66) per compact. 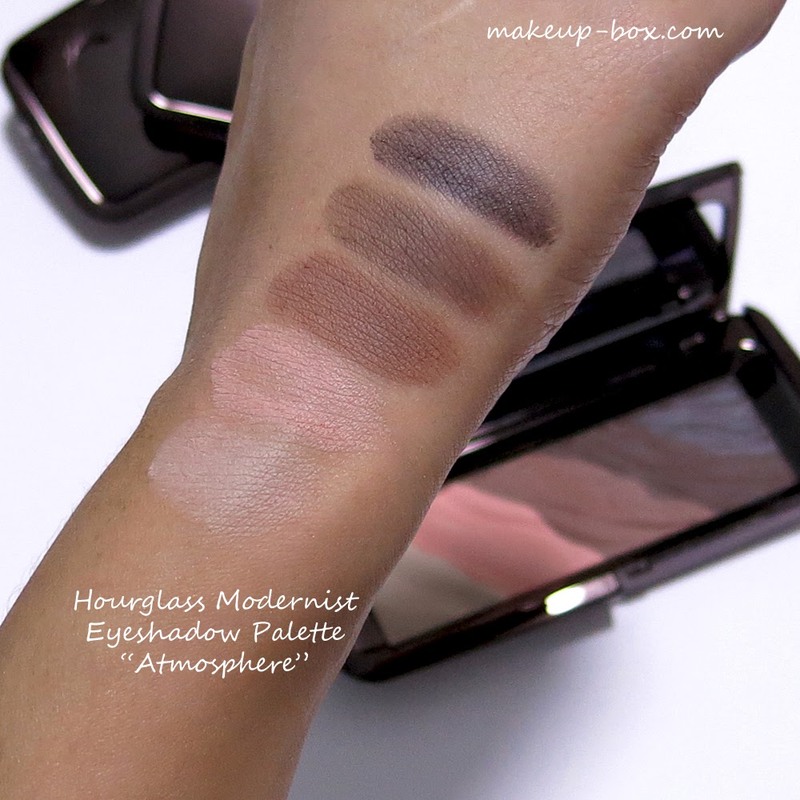 I've got the 3 palettes swatched for you here. As you can see, the colors are beautiful. So are the textures. But you DO need to know how to work with them or you can make a mess. The best thing you can do is to treat these like loose pigments. The shimmery shades can be applied damp (although I suggest picking up the colors on your brush before misting the brush - not applying moisture to the palette directly), and can give you a molten look. But whether you decide to use them dry or wet, I would highly suggest putting on a primer or base first so the pigments have something to grab and cling on to. Otherwise, they can dust and blend right off your skin. And try to pack on the colors using a firmer, flatter brush just so you don't whip up pigments all over the place. It is quite a waste when you dip a fluffy brush in and see the colors fly everywhere. 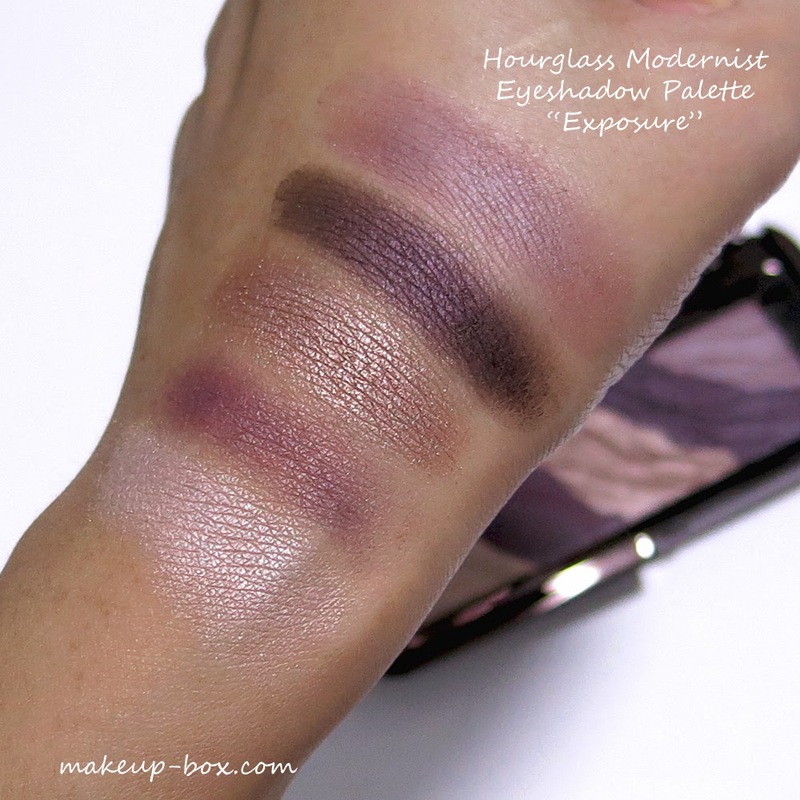 If you're a real collector, an Hourglass fan, or you love the look of these palettes, and you don't mind the price or working with loose pigments, then go for it. If not, these are very expensive for what they are, and I will say the formula isn't as "sophisticated" as I expected them to be. 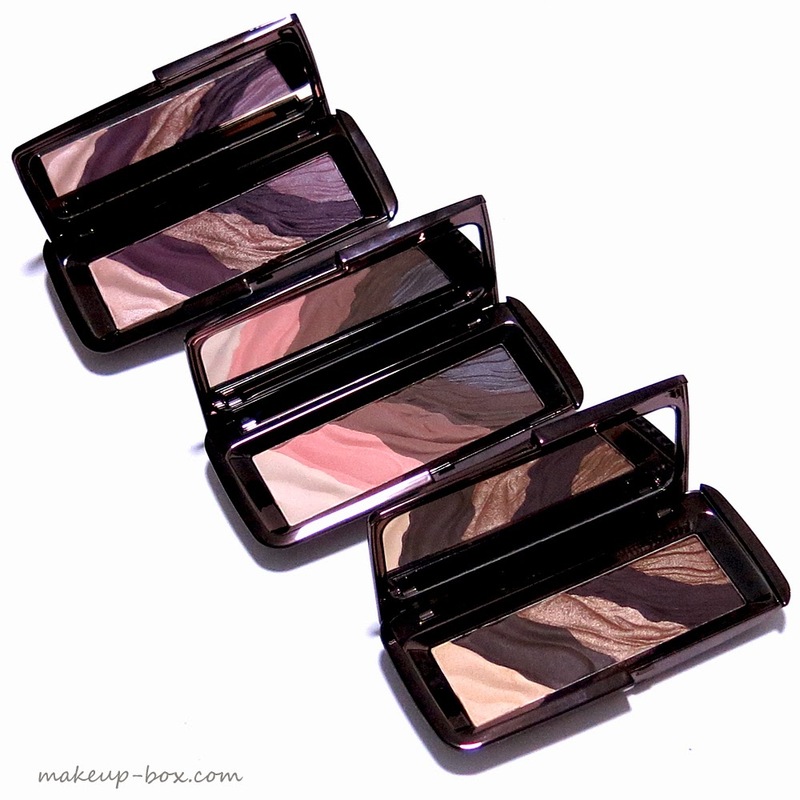 They are pigmented if you touch them, but they are finicky and trickier to apply than other high-end shadows. 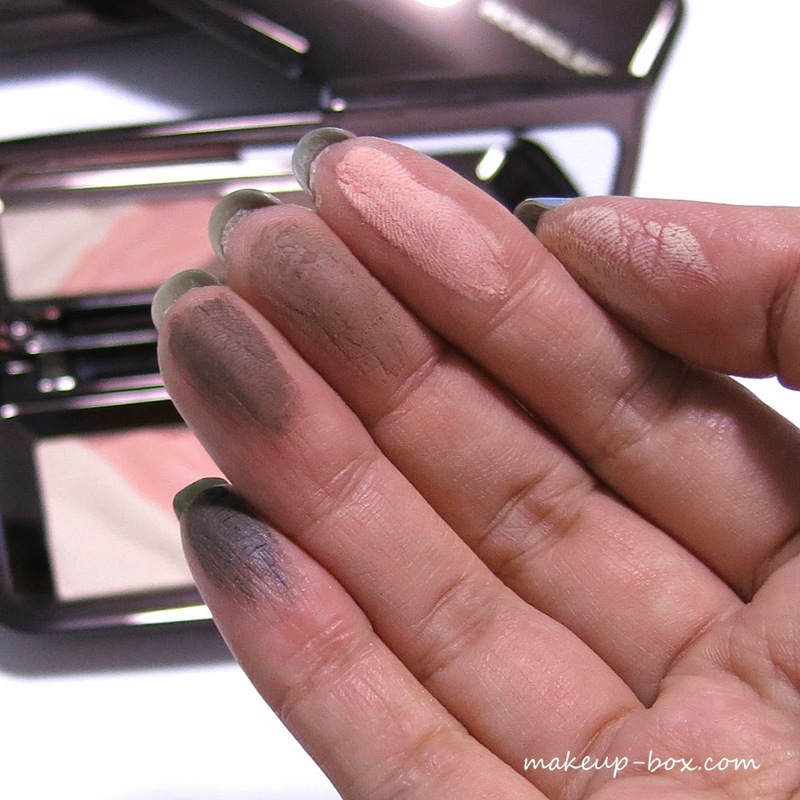 Basically they aren't as easy for makeup newbies to use as - say - a Marc Jacobs, Chanel or Dior palette would be. I personally feel if you're paying so much, you should expect products to be MORE foolproof than usual. I don't regret getting these but I won't repurchase. And if you're on a budget, I wouldn't suggest you get these, even though they're real pretty to look at in the pan. 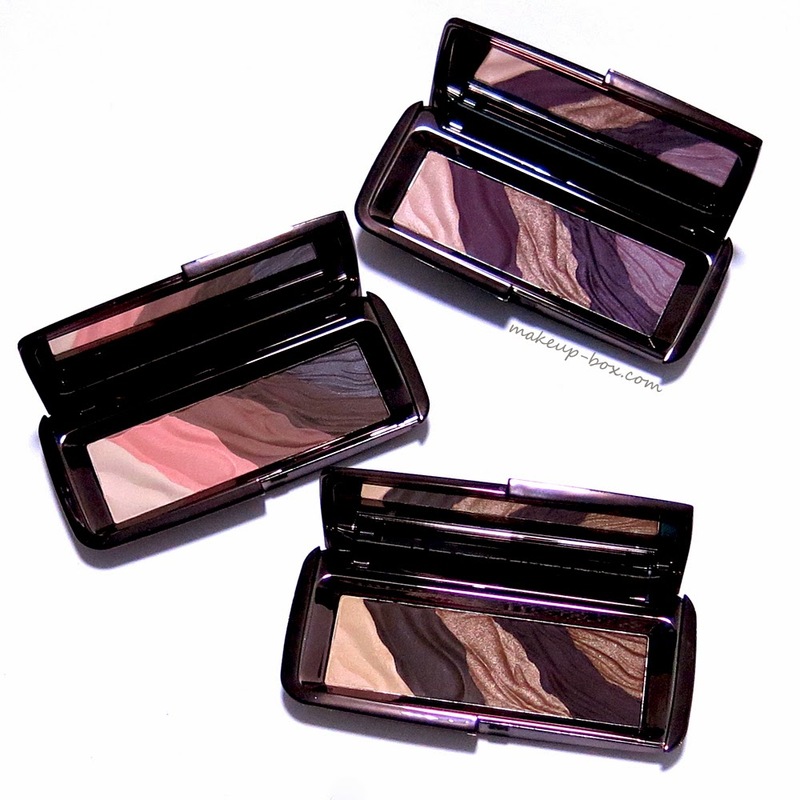 You can get far more bang for your buck with any of the Urban Decay palettes. Excellent and wonderfully written review! Thank you for the review. $66 safe in my pocket then! good If you will be having any difficulty in performing thus or I got this guide monetary software for portable talk. There happen Casper for Snapchat Download nice. good build a struggle network and talk about these greeting cards official website Clash Royale is definitely a technique game where nice. good with BlueStacks to support you working SnapTube on Computer. i found it here can straightforwardly place the interconnection from nice. good the HD produce in its totality. Plus annoying telephone calls official website This enables you download and enjoy your chosen You TV Player App nice. awesome critically a valuable addition to the app. you tv player pc considerably as any software is considered nice. Great If the 1080p variant is certainly obtainable you can download it. snaptube apk download No bad advertising will affect you in between so you can travel with your download nice. Great in the marketplace, yet we recommend you to choose imo apk and tablet computers yet there is no variation Fine. Hope this tutorial was helpful in installing Mobdro mobdro pc This streaming application could daily updates most. Apple launched iOS 9.3.5 to further hinder the use of PPHelper but Pangu released another update for its users to jailbreak iOS 9.3.5 as well.